For Frock's Sake! 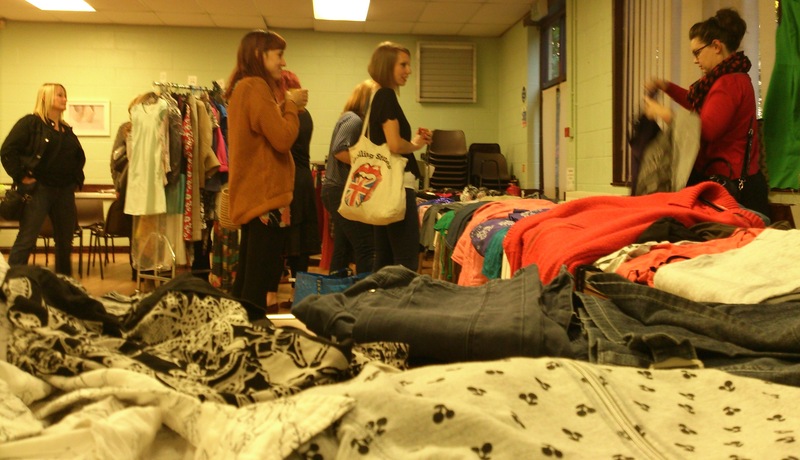 | Where old clothes get a new lease of life! What is For Frock’s Sake!? For Frock’s Sake! is a one stop shop that will solve your bulging wardrobe problem! Let us help you stream-line your wardrobe, reduce the items you no longer wear and give you the chance to earn money. We do all the work so you can relax with a glass of wine and choose a few new items while your clothes overload is taken care of for you. To find out more or to see our latest special offer please visit our About Page. Latest News: Once again For Frock’s Sake! Whilst still receiving pre-loved clothes from current and new members (please do sign up), we have now decided to do a mass sell-off! Hopefully by using an empty shop in the local area of Redfield. The plan after all the current stock has been sold (and therefore earning For Frock’s Sake! members lots of lovely commission, is to continue building our on-line presence. This will consist of a new shiny website with easier negotiating , clear and informative news and offers. Plus the most exciting part, will be the new range of fashion and accessories, hand picked by us! Keep checking back for the latest news and sign up to receive the occasional email. For Frock’s Sake! off-load your pre-loved clothes and accessories, leave feeling free and with a couple of choice new items…lovely. Welcome to our new website, with a fresh design and lots of great blogs for you to read each week. Please use the comments box at the bottom of the page to contact us , or email if you prefer, and receive special offers. Up-cycle your fabulous frock into a bespoke bag or purse! To make your own customised bags please see our About us page for more details. Why only have one Frock when there is a plethora of lovely new Frock’s to choose from!! Hi , just want to ask are you likely to be interested in buying a suitcase with vintage and retro items I have collected… some clothing , bags, jewellery, homewares all in v g c. Some bought from vintage online shops ? Problem is, I do not drive and I live in Clevedon , North Somerset so is it likely someone could come to me and view the items and perhaps make a decent offer ? Hi Lynda, sorry for the long delay in replying, For Frock’s Sake! has been having a rest for a considerable time due to personal issues.